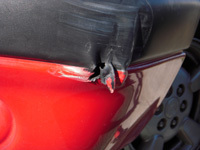 Fender benders, parking lot mishaps and trash cans are some of your daily hazards your car must avoid, we will be there to fix it at the place you choose. 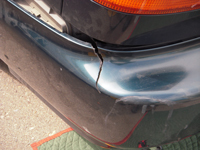 Body repair services usually involve a trip to the repair shop to estimate and schedule services and then they may take days or more to return your vehicle. Why wait all this time? 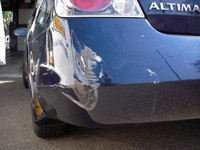 Call Al's and we will save all that time and do the job right then and right there, on the spot. 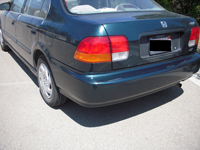 Our unique permits allow us to perform most minor repairs right at your residence or place of business. 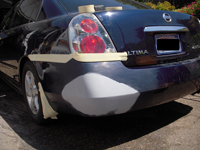 We carry most any paint that your vehicle needs right on the truck so there is no need to wait, we paint right on the spot. 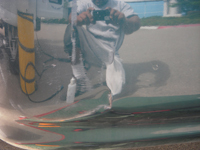 We use state of the art equipment that applies paint with no overspray affecting surrounding area. 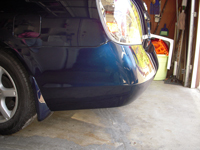 Only a minimal clearance area is needed to service a vehicle, however the more the better to be sure. 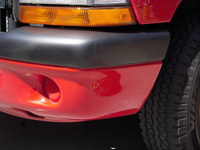 Today's modern plastic bumpers require specialized paints that will not peel and crack when a bumper flexes. 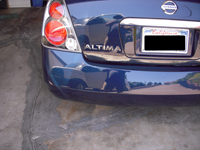 Be assured we use premium paints that are specialized for the surface that is being painted. 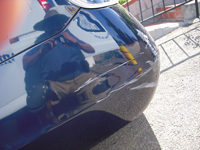 Look at a few examples of what can be fixed by the the time you even get an estimate from others. 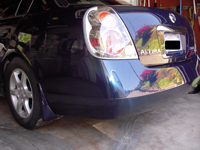 This Nissan Altima was repaired at the owner's residence saving them time so they can get on with their life. 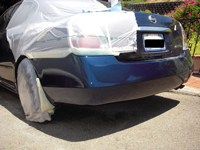 With over 20 years of experience and state of the art paint systems we guarantee you will be satisfied and since the paint dries so quickly these services can be done in mere hours rather than days.  Doesn't that sound more convenient than dealing with estimating, scheduling, pick ups and drop offs? 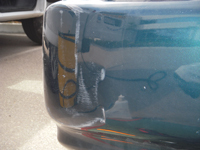 We also repair TEXTURED BUMPERS. 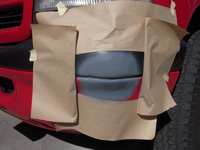 Other say it can't be done! 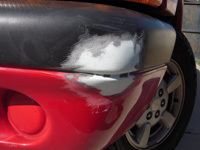 We we will restore that new OEM Finish in 4 hours or less in most cases. 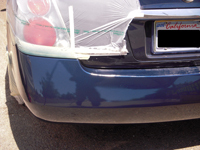 We strive for customer satisfaction and quality workmanship. 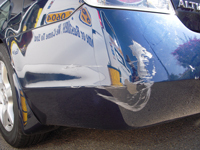 Of course we can fix just about any minor repair you throw at us, even cracks and creases in bumpers. 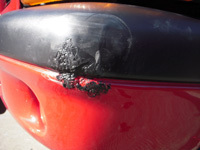 Many Bumper Docs shy away from tougher minor repairs and replace and repaint bumpers, not Al's. 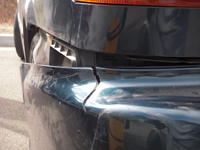 We have the right experience, technology and equipment to get it done right the first time while saving you the cost and waste of just getting a new bumper.